Participants will explore Universal Design for Learning (UDL) as a systems change process. 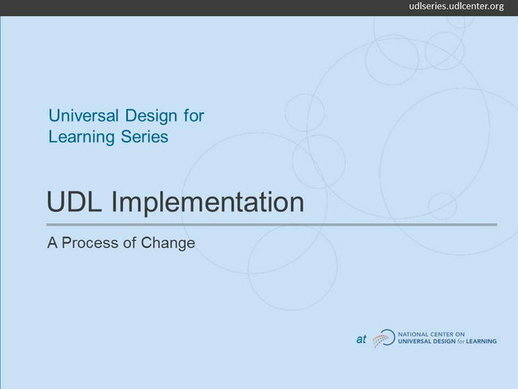 Why is UDL implementation considered to be a process of systemic change? What makes UDL implementation different from the implementation of other frameworks or inititatives? What are the areas of focus during the five phases of UDL implementation? NARRATOR: Welcome to the Universal Design for Learning series, a rich media professional development resource, supporting expert teaching in learning from the National Center on UDL.